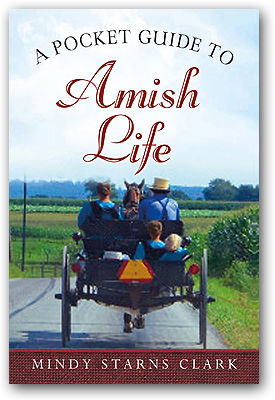 Learn everything you ever wanted to know about the Amish but were afraid to ask. 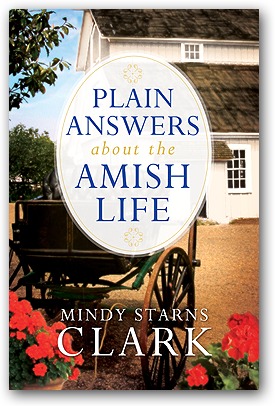 Visit www.amishfaqs.com to see photos from Mindy's research and learn more about the Amish. 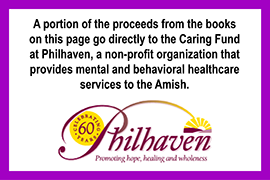 Learn how the purchase of these books helps fund mental health care services for the Amish. "All you wanted to know and then some are all collected in this handy guide..."
Get a look inside the obscure, fascinating world of what the Amish believe and how they live. An engaging Q&A format showcases fun and fresh facts about the people who abide by this often-misunderstood faith and unique culture. "...an eloquent introduction to the Amish." 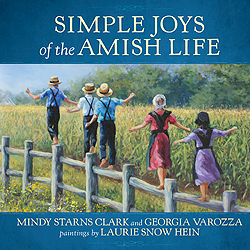 This lovely gift book weaves together Information about the Amish from Mindy, Amish recipes from Georgia Varozza, and artwork from Laurie Snow Hein. Take a tour through beautiful paintings that depict the grace and simplicity of Amish living. Gather intriguing insights and delicious, authentic recipes along the way. 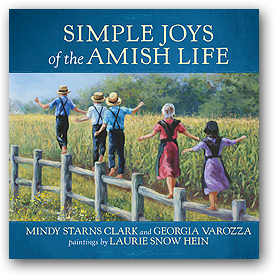 As you learn about Amish customs, clothing, food, and faith, you'll discover a bounty of joy to enrich your life. Enjoy The Homestyle Amish Kitchen Cookbook by Georgia Varozza. Learn more about artist Laurie Snow Hein. "...filled with fun and fresh facts about the people who abide by this often-misunderstood faith and unique culture."